This year so far has been Great! I went away for 2 weeks on a life changing trip with Tom Campbell at a Castle and Paris for my birthday. It doesn’t get much better than that. I wrote about my experience below and completed my interview with Tom as well. However, now I am back to yet another snow storm as I write this newsletter and wish that Wiarton Willie was correct when he predicted an early Spring. 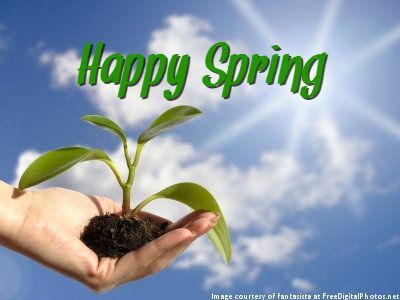 They say (our weather experts) that we are in for a big shift to a strong Spring mid March – I’m Hopeful that come our Spring Equinox will bear warmer weather and some Spring flowers. Too much to ask?? Series 13 starts January, 21st and runs till March, 29th 2019 I will be participating along with 24 other speakers on varying topics. March is a month filled with some unexpected events and Soul alignment. Mercury will station retrograde on March 5th at 29 degrees of Pisces. This is the degree of completion, completion! Here we are looking at releasing thoughts, and emotions that no longer serve our evolutionary growth. It is very important that you really focus on what it is that you desire to create and attract in your life now. If you find that what you desire in life right now is not coming to fruition, then make sure to let go of your inner victim. Our thoughts combined with feelings speak to how we will see our reality. Work towards completing past issues that may surface. Mercury will station direct on March 28th, and the post shadow is completed on April 17th. Uranus is moving into the sign of Taurus on March 6th. Uranus visited Taurus in 2018, from May 15th until November 6th. It retrograded back into the sign of Aries to finish up some business. It will be in Taurus until it moves into Gemini in 2025/26. It can awaken new personal values and beliefs, as you break away from ones that no longer serve. There will be new ways of working with “electronic money” (Cryptocurrencies). New legislation may come into effect as it pertains to finances and securities. As most of you know I went to an Immersive with Tom Campbell last month and then spent my birthday in Paris. I knew this event would change my life and it has. I didn’t know what to expect – even after interviewing Tom for the past decade and sharing his practical knowledge on how to Grow-up and Surrender our fears – so I was seemingly not prepared for 5 days in a castle under his tutelage. Tom is unsuspecting and truly walks his talk. His unconditional compassion and love allowed us all to feel safe while exploring what he calls the Larger Consciousness System. Those of us without a physics background who see things from a spiritual perspective would probably refer to this as connecting in with the Akashic records or our Sacred Space with our Higher Self for guidance. We spent hours meditating each day and we could do it in the luxury of our rooms – since Donna and Keith (his incredible event coordinators) rented out an entire castle – we didn’t have to worry about having to explain ourselves. We also had exercises instead of chanting the “Om” mantra for an hour each time. We used binaural beats to help us focus on our exercises – that ranged from communication, to past lives and future probabilities, to healing and remote viewing. The benefits of a large group – of like-Hearted people – collecting together for days and sharing our experiences – change us. We never fully comprehend the impact of when we immerse ourselves in a group of like-minded and like-hearted people while also using meditation to Grow our Consciousness. The benefits of a large group collecting together for days and sharing our experiences change us. This is especially true for me since I have for several years been on a healing journey in seclusion – needing to feel safe and protected while I worked through some challenging times. I’ve needed to hibernate and my journey has gone through many cycles during this time. I would come out to test the waters only to fall back when my sensitivities would become overwhelmed again. I created a beautiful oasis where I could feel safe while also healing and expanding my business. It was a win-win for me. I also knew that this trip would change that for me. And it has in many ways. Telesummits are so much fun, helpful and absolutely life-changing. Don’t you agree? What if, you can effortlessly start living a more abundant, prosperous life? What would it mean to you if you can deal with the inevitable throes of life with ease? Would you like to gain clarity, insight, knowledge, confidence and spiritual advancement? After overcoming challenges and breaking down blocks in 2018, this year 2019 being an important and transformational year with 5 eclipses that bring about change, I’m excited to invite you to join me and other luminaries and gifted guests at www.greatestyousummit.com to receive invaluable wisdom. 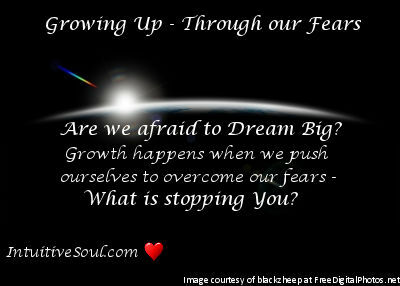 Greatest You Summit is a global telesummit with a loving community supporting you on your journey to 5D and beyond. Sign up at www.greatestyousummit.com to interact with us and receive a bundle of very wonderful gifts.